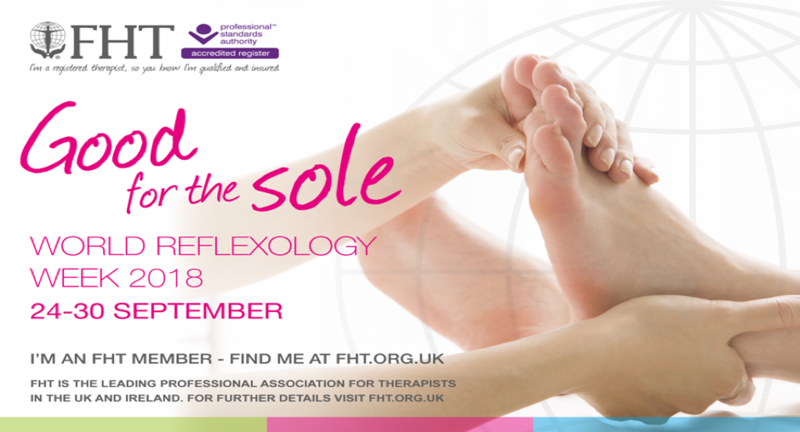 World Reflexology Week… It’s Good for the Sole! Relaxation– Reflexology is a deeply relaxing therapy. Improve general wellbeing – Reflexology is a non-invasive holistic therapy, holistic meaning (the whole of) addressing the whole person, including their physical, mental, and emotional health, while taking social factors into consideration. Relieves Aches & Pains– One of the benefits of reflexology is its ability to treat different types of aches and pains, such as neck pain, migraines, headaches, and upper and lower backaches. It relieves tension in the muscles that may often lead to these conditions. Headaches occurring due to stress can also be alleviated with foot reflexology. Stress relief– the relaxation aspect will certainly reduce your stress levels combined with the techniques used in stimulating certain endocrine glands that release hormones into the bloodstream, your body will be able to achieve balance and homeostasis is established. Detox the body– Low energy, depression, digestive problems, frequent headaches, poor memory, sugar cravings and skin problems. These symptoms can really impair quality of life. They are pointers telling you that your body needs a detox. Immunity–A healthy immune system is the foundation for health in an individual. We all know that stress plays a part in our immune function and therefore reducing stress may accelerate the process with which the immune system can function to our benefit. Improve sleep– Wouldn’t you just love to get a better night’s sleep? You know you need it for your health and to help your weight loss efforts. Sleep helps to power down the brain and improves bodily functions. The immune system has the chance to work, fighting off infections and diseases that we’ve picked up throughout the day. Reflexology is a treatment that aims to relax and restore the whole body to homeostasis. If the energy flows freely, then we are balanced and healthy, and if the energy is obstructed, stagnation and illness can result. The best way to find out if reflexology is right for you is to simply try it!